The expense of having a fireplace installed comes from the actual installation, the fire and the ongoing expenses that you’ll incur. 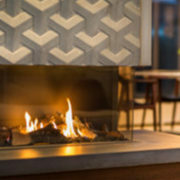 What’s great about fireplaces is that there’s so many to choose from. Even if you’re on a tight budget, you can likely find a fireplace that will work for your particular means. If you already have an existing fireplace and are simply looking to upgrade, then consider opting for a similar design as opposed to a completely new installation. What aesthetic do you have in mind? Everyone has their own personal taste. 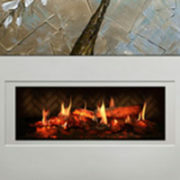 When it comes to selecting a fireplace, this comes into play and will obviously affect your decision-making process. Do you have a big personality that requires a bold fireplace to match? Or do you prefer to blend into the scenery and require a less conspicuous fireplace for your home? These are helpful questions to get out of the way before your purchase, and there are a million designs from traditional to contemporary to choose from that will suit every possible aesthetic. What kind of fuel will you need? This is an important question because it determines whether you’ll opt for a wood burning fireplace or a gas burning fireplace. Both have their benefits. You’ll want to research the options for your particular application and make sure that you choose the best one for your individual needs. 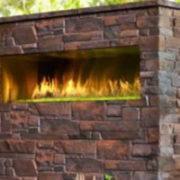 At Rettinger Fireplace Systems, we can help you take some of the guesswork out of choosing the best kind of fireplace for your family’s needs. Do you require an investment return? 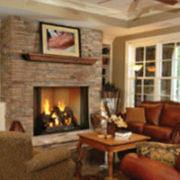 Having a fireplace installed will increase the value of your home. This is something worth considering, especially if you plan on moving anytime in the near future. Most people will agree that while not necessarily a deal-breaker, buying a home that comes with a fireplace is definitely an added bonus. 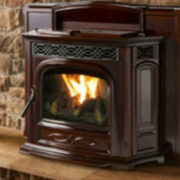 Gas burning fireplaces do not require as much maintenance as wood burning fireplaces. 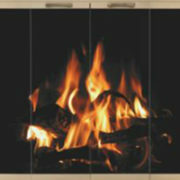 In fact, many of the modern gas burning fireplaces can be controlled with a remote and do not require much supervision. 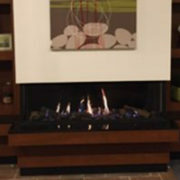 A wood burning fireplace, on the other hand, requires more clean-up care and more supervision.